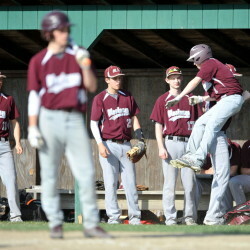 Gardiner's starting pitcher frustrated Waterville's hitters for six innings in the 4-1 result. Gage Cote was strong in relief as the Mustangs secured an 8-5 win. Moulton's single scores Dubois in bottom of the eighth. 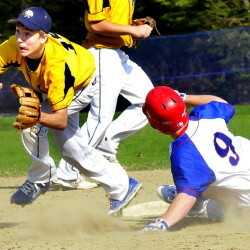 Winslow rallies back from five-run deficit to beat Gardiner. Eagles continue to dazzle in blanking Cougars. 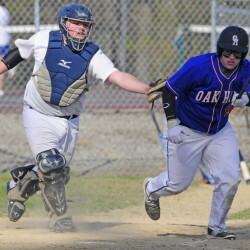 Dirigo wins see-saw slugfest over Oak Hill. 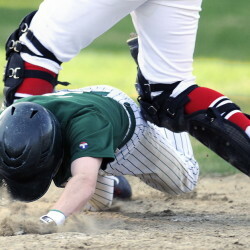 Eagles score 6 runs in bottom of 7th before falling.